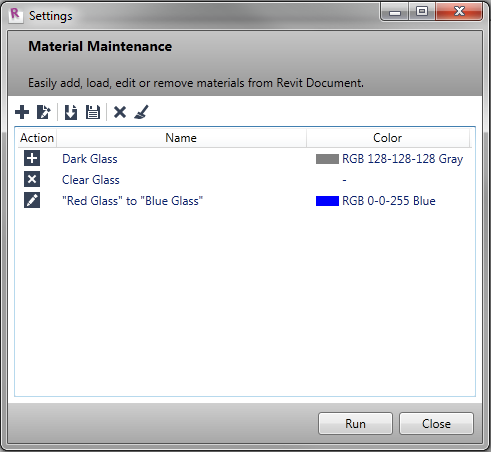 "The Material Maintenance Plugin offers an easy way to perform comprehensive maintenance, giving you the ability to add, remove or edit your Revit materials. "It will also help you standardize your Materials with a naming convention for easy management." 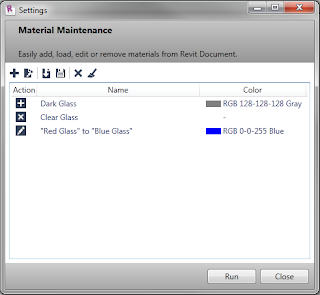 The Material Maintenance add-in is available on the Autodesk Exchange | Apps website for USD 14.99.